October | 2015 | Dr. Saint, D.D.S. 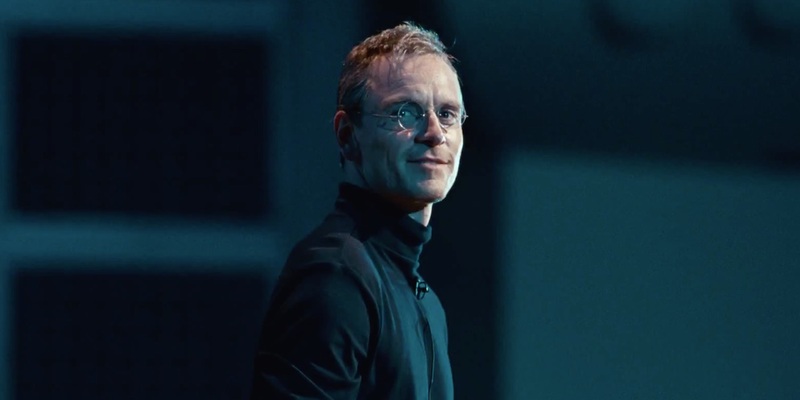 Told in a three-act structure, Danny Boyle and Aaron Sorkin brings the audience behind-the-scenes of Apple founder Steve Jobs (Michael Fassbender) prior to three of his product launches from 1984 to 1998 (Macintosh, NeXTcube, and the iMac). They brilliantly gives us a portrait of the man: arrogant, manipulative, selfish. But most of all, human. Remember the other one with Ashton Kutcher dressing up for Halloween? Yeah, I don’t buy it. Michael Fassbender is the superior actor to play Jobs, even though he looks nothing like him. Leading an extraordinary cast including Kate Winslet, Seth Rogen (refreshing to see him in a dramatic role), and Jeff Daniels, they come together to bring an emotionally tense and exciting character study of one of the most influential people in the tech world. Steve Jobs is this year’s The Social Network. In the 1950s, the Cold War is in full swing. It wasn’t a war of battling with armed forces. It was of fear. Fear of a nuclear war between American and the Soviet Union. Schools around America did bomb drills after watching an educational video called Duck & Cover. In case of an atomic bomb, the school children must get under their desks for safety when a bright flash appears. This happens in one of the early scenes in Steven Spielberg’s latest, Bridge of Spies, which is not just about the fear of nuclear war. It’s about the espionage during these cold times. The movie opens up with a remarkable 10-minute sequence (with very little dialogue) involving KGB agent Rudolph Abel (Mark Rylance) finding a secret message at a Brooklyn park bench while painting a picture of the bridge. After he settles in his apartment, the FBI arrests him for being a Soviet spy. Meanwhile, James Donavon (Tom Hanks), an insurance lawyer living with his loving wife Mary (Amy Ryan) and three children, is assigned to defend Abel in court by his boss Thomas Watters (Alan Alda). As Lt. Francis Gray Powers (Austin Stowell) and graduate student Frederic Pryor (Will Rogers) get detained, Donavon must travel to East Berlin (breathtaking cinematography by Janusz Kaminski) to exchange them for Abel. Spielberg and Tom Hanks are two of the best people working in Hollywood today. They collaborated with each other with Saving Private Ryan, Catch Me if You Can, The Terminal, Band of Brothers, and The Pacific. They return to deliver yet another home run. 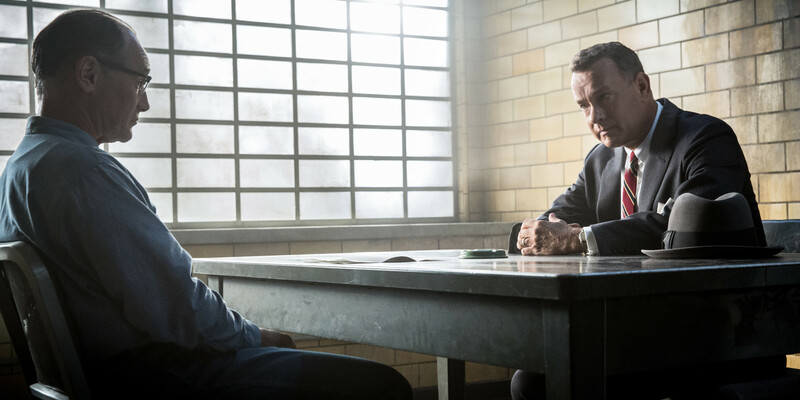 Collaborating with screenwriters Joel and Ethan Coen, Spielberg makes an exceptionally old-fashioned Cold War thriller that ranks among some of his best work. With Donavon, performed brilliantly by Hanks, going on his mission to negotiate Abel builds tension through Thomas Newman’s astounding score and the brilliant dialogue (be prepared for a lot of it) as opposed to the overblown action scenes as everyone is used to seeing in movies nowadays. We all heard the old saying, “Actions speak louder than words”. That explains why Donavon is such a likable hero; bringing “justice for all” through his charm, sarcastic sense of humor, and straight-up enthusiasm with his bond with Abel. The two-and-a-half hours go by like a breeze. One of the year’s best. After seeing Flight in 2012, I’m glad Robert Zemeckis is back doing live-action films. Back to the Future, Forrest Gump, Cast Away are among some of his biggest achievements. 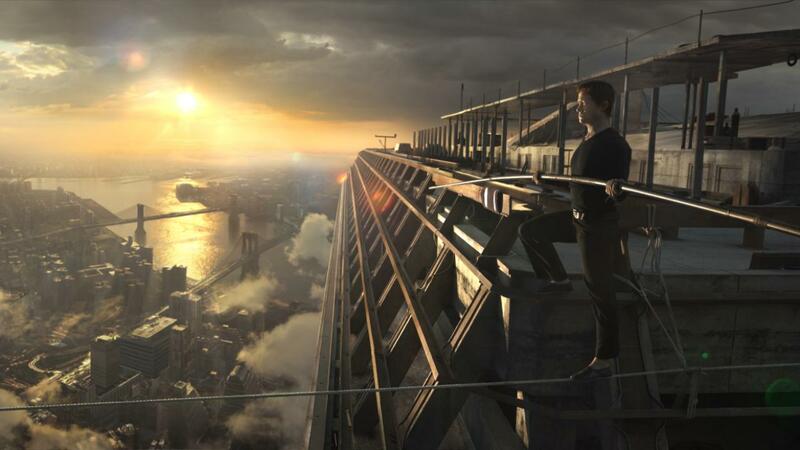 His latest film, The Walk, takes his direction to new heights. He creates an experience like no other: a 3D biopic/drama/thriller about pursuing one’s dreams. In 1974, Philippe Petit (Joseph Gordon-Levitt) is a popular street performer in Paris. One day, after getting a toothache, he decides to do the impossible. Walking on a tightrope between the World Trade Center. Not only would it be dangerous, but also illegal (given that the Twin Towers have yet to be finished). Under the guidance of Papa Rudy (Ben Kingsley) and his girlfriend Annie (Charlotte Le Bon, The Hundred-Foot Journey), he conducts a team of recruits to help him get a tightrope from one tower to the other. They disguise their way up the building as construction workers, architects, and professional photographers. Once Petit starts his act he’s about to face death every step he takes. Zemeckis is known for making live-action movies with CGI that is seamless. Forrest Gump is one of his movies that achieved that technique. Especially during the sequences when the feather is blowing in the wind and Forrest talking with the president. In The Walk, his team ambitiously pulls it off. During the breathtaking tightrope sequence, Zemeckis makes the audience feel as if they are in the air as Petit makes his dream a reality. It does take a while to get used to Joseph Gordon-Levitt’s French accent. But, he is able to pull it off with a charisma that is hard to resist. However, why did he have to narrate his story on top of the Statue of Liberty? Nevertheless, seeing The Walk on DVD will never be the same as seeing it in 3D. Definitely an experience I will never forget! Now I have to watch the documentary Man on Wire! Ridley Scott’s directing career hasn’t been too hot recently. After making three flops (both critically and financially), Robin Hood, The Counselor, Exodus: Gods and Kings, there must be a way to redeem himself. Scott goes back to his regular sci-fi roots with The Martian, based on the book by Anthony Weir. Forget Interstellar. This is the space travel epic we’ve all been waiting for! The movie opens up with a mission on Mars. Mark Watney (Matt Damon) and his crew consisting of Melissa Lewis (Jessica Chastain), Rick Martinez (Michael Peña), Beth Johanssen (Kate Mara), and Chris Beck (Sebastian Stan) are caught in a dust storm. They abort the mission; leaving Watney behind after getting struck by debris. Later, he wakes up to find out he’s the only person on the red planet. Watney spends his time using his botanist powers to grow enough food and wits to survive until another mission can save him. Meanwhile, on Earth, NASA director Teddy Sanders (Jeff Daniels) announces the presumed death of Watney. However, engineer Vincent Kapoor (Chiwetel Ejiofor) reads a message from Watney that he is alive. NASA collaborates with scientists from all over the world to help him get back home. 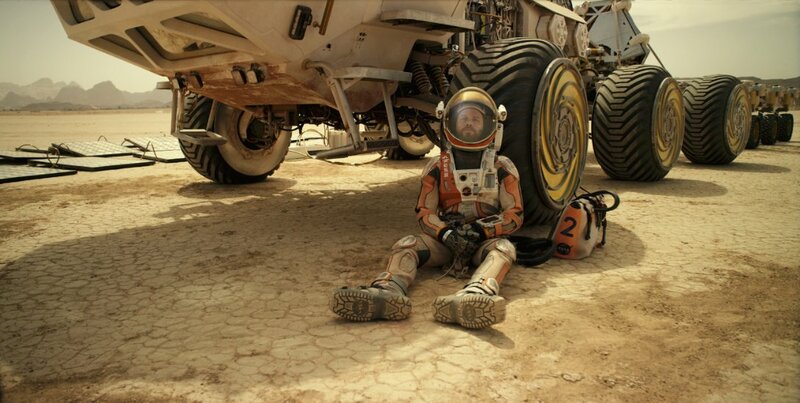 Unlike most protagonists in survival/isolation movies nowadays, Watney is the most optimistic person you’ll ever meet. He’s like a classier Bear Grylls. His wisecracks (“In your face, Neil Armstrong!”) are everything (I’m surprised how funny the movie is), thanks to the witty screenplay by Drew Goddard. The audience roots for him to make it back home. Damon plays Watney brilliantly. Leading an all-star cast, The Martian is a funny, suspenseful and visually breathtaking journey. This is Ridley Scott’s best since Matchstick Men. For a movie about one of the expeditions at Mt. Everest sounds like one intense flick. Baltasar Kormákur’s (2 Guns) vision of the 1996 expedition is a mixed bag. There is a plenty to feast on the eyes and when the bad weather arrives it gets excited. However, with an exceptional cast, they had very little to do with the limited character development. With the 121-minute running time, Everest is a quite a bore until the real stuff happens. The big star here is Mt. Everest.